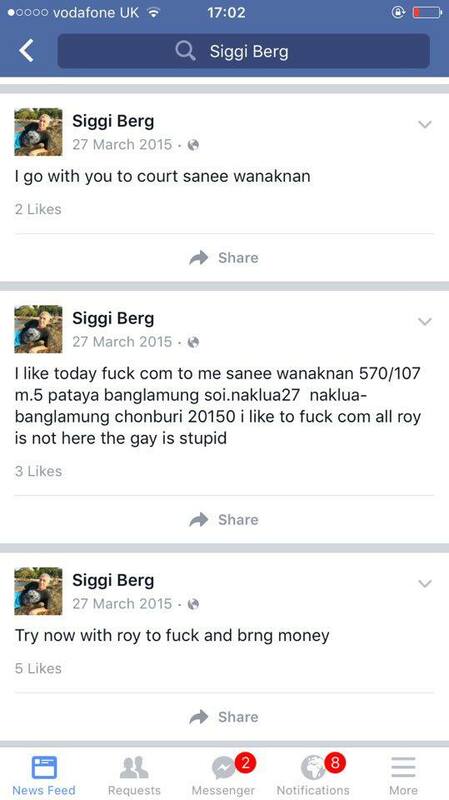 This info was just forwarded to me by a source who obtained the obscene messages below. 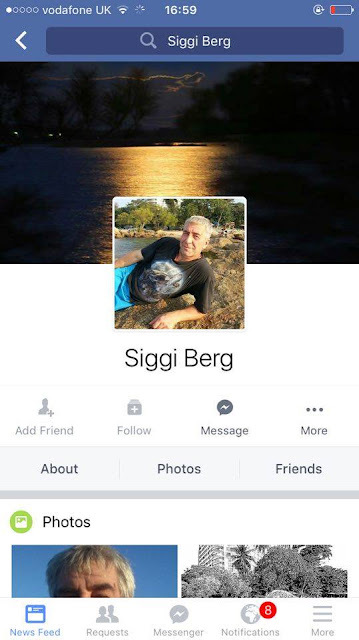 The murder suspect's name is confirmed as Siegfried Berg. He has multiple Facebook accounts, including this one. 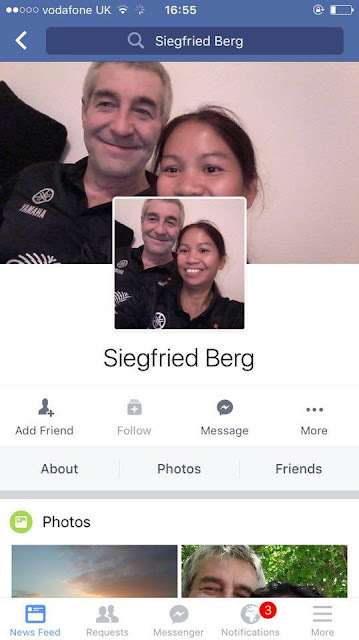 He is presently living in Germany but travels to Thailand. 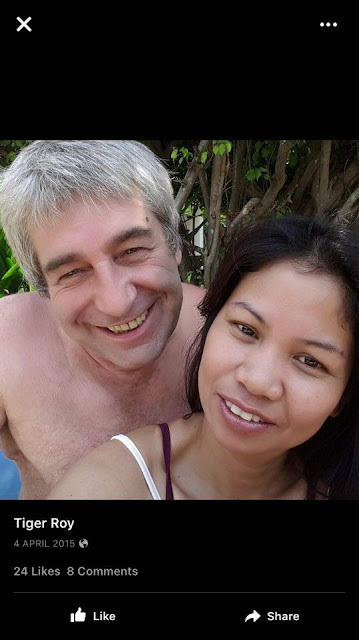 He allegedly married a mail-order bride, in an attempt to flee from justice to reside in Thailand.